And the other articles in the 2013 Fiji Constitution relating to religion sound equally non-threatening. SUVA, Fiji --- Fiji's Prime Minister, Commodore Voreqe Bainimarama has told religious leaders that they have a special responsibility not to spread misinformation and must uphold that responsibility. 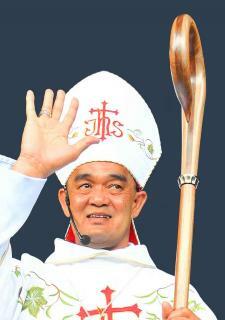 He was reacting to a comment made by the Fiji’s Catholic leader, Archbishop Peter Loy Chong. Such comments, the Prime Minister said, clearly had the potential to inflame public opinion. The Archbishop had reportedly said that the Constitution deprived Fijians of the right to practice religious beliefs in the public sphere. The Prime Minister, this was incorrect. “Nowhere in the 2013 Constitution is there any limitation on expressing religious belief publicly, individually or in a group,” the Prime Minister said in a statement . The Bill of Rights, the Prime Minister said, expressly guarantees a Fijian’s right to freedom of religion, conscience and belief and the right to freedom of expression. This section could not be any clearer in its protection of the right to practice religion and to talk about and discuss religion in the public sphere. The Constitution also protects the right of all Fijians to freedom of expression in all aspects of community life, including in the practice of religion. This right is only limited to prevent the spread of hate speech or incitement to violence. On the secular state, the Prime Minister said that it was troubling that the Archbishop had misunderstood the Constitution’s provision on the matter. He said Section 4 of the Constitution establishes the Secular State. It protects the religious liberty of all Fijians in the State, and provides that religion and the State are separate.